Beautiful thick fleshed chillies, jalapeños have nice medium heat with a strong and fresh vegetal flavour. Our jalapeños are from Holland. 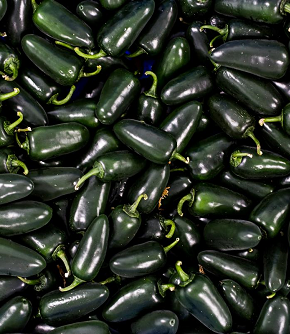 Jalapeños are delicious in salsas and can be stuffed, roasted and, of course, pickled. Please note that this item may contain traces of nuts and sesame.